The early years of the twentieth century were violent and bloody for Russia. Economic turmoil and a burgeoning peasant class made for social unrest right across Russia’s multi-ethnic empire. On top of this, the military was engaged in a desperate war with Japan over territory in China and Korea. 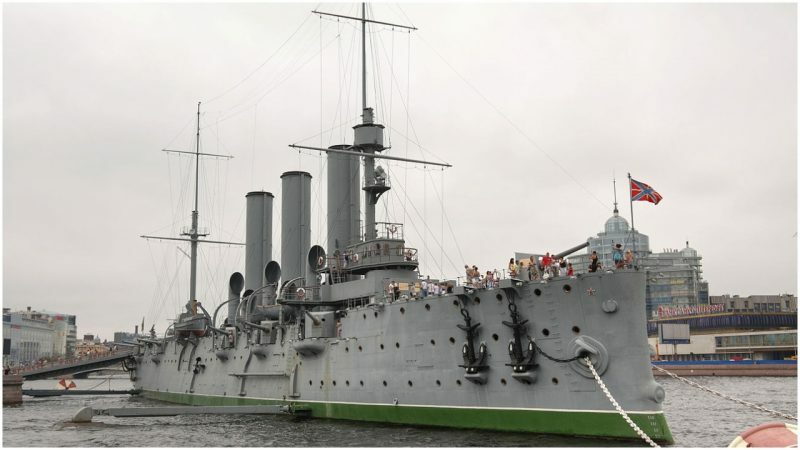 In the summer of 1904, things were not going well for the Russian Navy in the South China Sea and the Sea of Japan, so in October ships from the Baltic Fleet were dispatched. 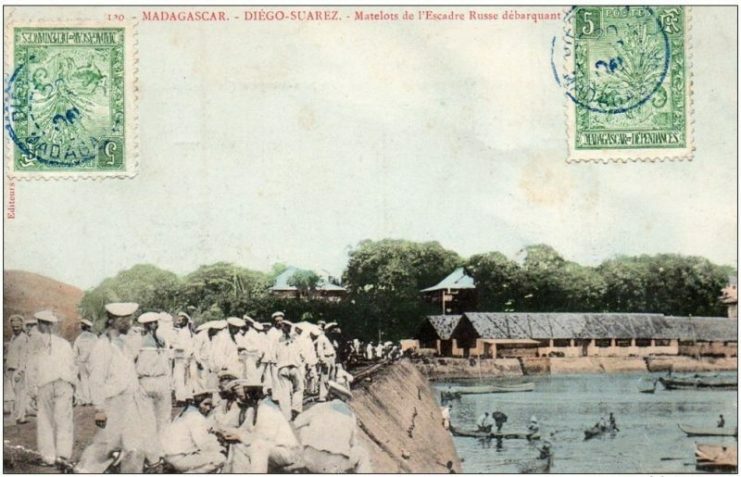 Their journey was planned to take them through the Mediterranean to the Suez Canal then across the Indian Ocean to bolster forces depleted from a series of terrible defeats. Before the fleet had even left the harbor, the Navy had problems with recruitment. Many of the sailors had never set foot on a warship before. 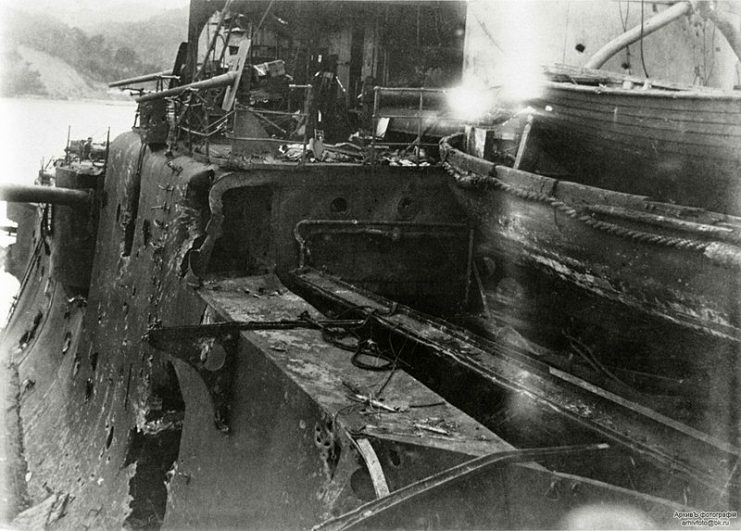 There were also rumors of new, rapid-attack torpedo ships that the Japanese had concealed on the Danish coast and stationed within Norwegian fjords. Some said there were mines afloat, just waiting for the Baltic Fleet to run right into them. All this led to a nervous, inexperienced, and paranoid crew arriving on the night of the 21st October at Dogger Bank in the North Sea. The air was thick with fog and visibility was poor. 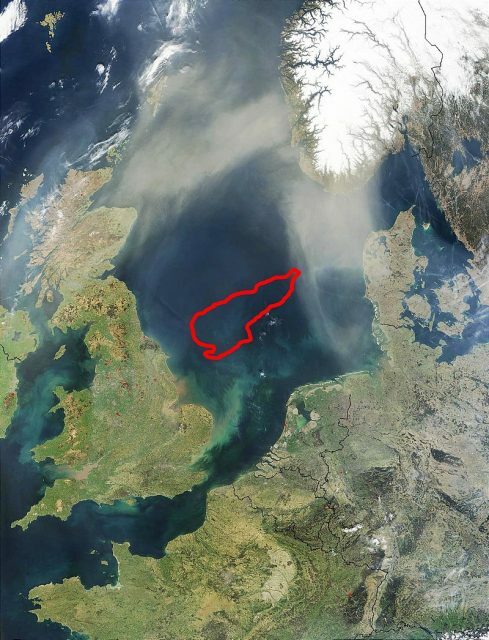 Location of the Dogger Bank in the North Sea. The Russian look-outs spotted lights and flares ahead. Reports from the subsequent inquiry state that the sailors took these to be incoming Japanese fire. The Russian ships used powerful searchlights to illuminate the enemy and began shelling. The battleship Oryol let loose some 500 rounds. 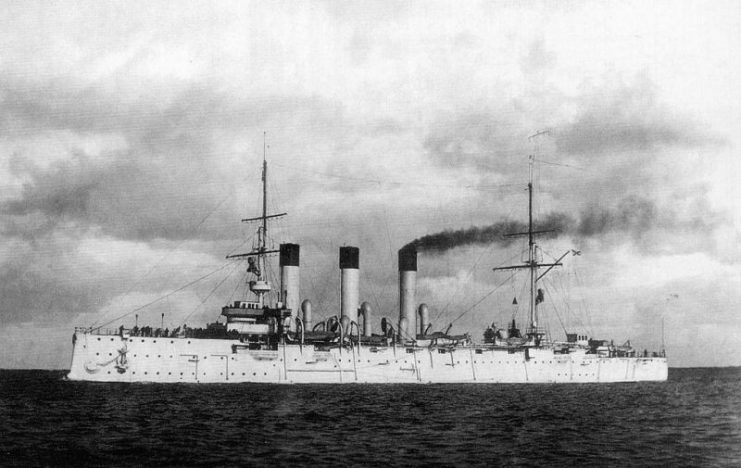 The battleship Aurora was holed below the waterline, and two sailors were killed. 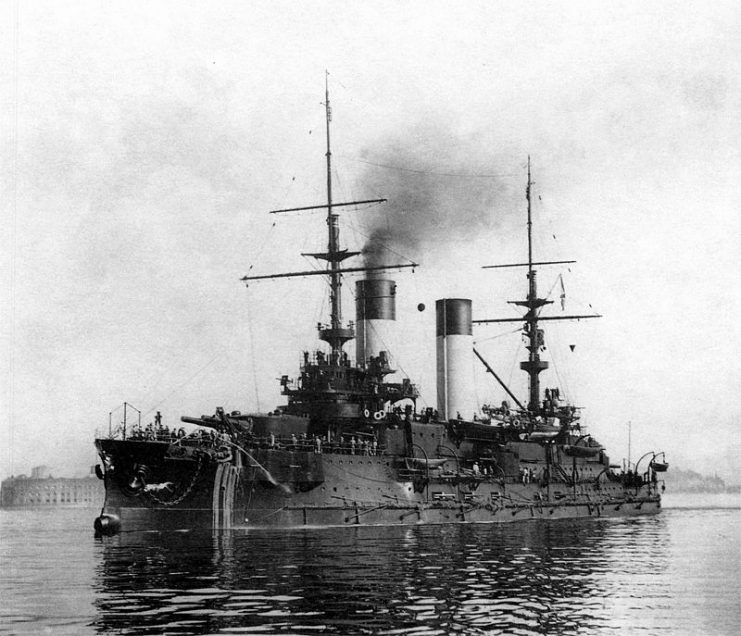 Imperial Russian battleship Oriol at Kronstadt, August 1904. 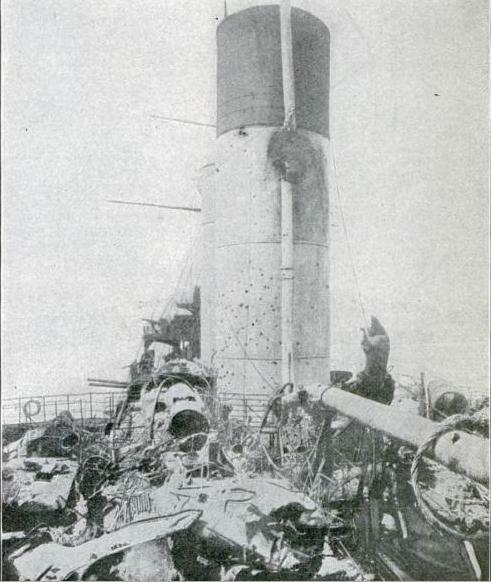 The Aurora, a Russian cruiser attacked by other Russian ships during the incident. The battle went on for 25 minutes, and one crew was readying itself for hand-to-hand combat with the Japanese when a cease-fire was called. It turned out that there were no Japanese and no torpedo-boats at Dogger Bank. The Russians who were killed had lost their lives to so-called friendly fire. The enemy in the fog was, in fact, the Gamecock Fleet of trawlers operating 60 miles out of Hull in Northern England. They had been fully lit and fired off flares in order to make the approaching Baltic Fleet aware of their presence. 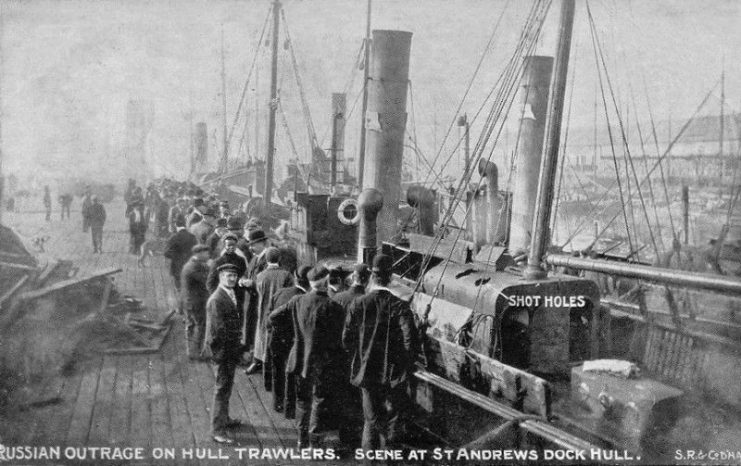 Russian Outrage on the Hull fishing fleet on 22 October 1904, otherwise known as the ‘Dogger Bank incident’, the ‘North Sea Incident’, or the ‘Incident of Hull’, showing shell-damaged returned trawlers in St Andrews Dock, Hull. Three of the trawlers were hit: the Crane, the Mien, and the Moulmein. Two trawlermen were killed instantly with many more injured. As the boats were engaged in fishing activities at the time and had their nets down, they were unable to move out of the way. What saved the fishermen from further disaster was the fact that the Russian artillery was so poor. In addition, the Russians took on vessels from their own side in the mistaken belief that a second flank of attackers was approaching. Incredible as it may seem, this was not the first incident to have occurred on the voyage. A few days earlier, the Kamchatka had become separated from the rest of the fleet and been involved in the shelling of another motley collection of ships. These turned out to be a group of merchant-men and trawlers from a number of European countries. There were no casualties that time. The British were furious following the Dogger Bank incident, and their Royal Navy shadowed the Baltic Fleet through the English Channel. There was a very real possibility of war between the two nations. Britain had recently signed an accord with the Japanese Empire, and the two countries were now allies. The Russians claimed that this added to the panicked atmosphere aboard their ships as the new Japanese torpedo boats could have been hidden amongst the flotilla of trawlers. An independent inquiry attended by both sides in Paris held the Russian Navy at fault. They paid the British government £66,000 in compensation. 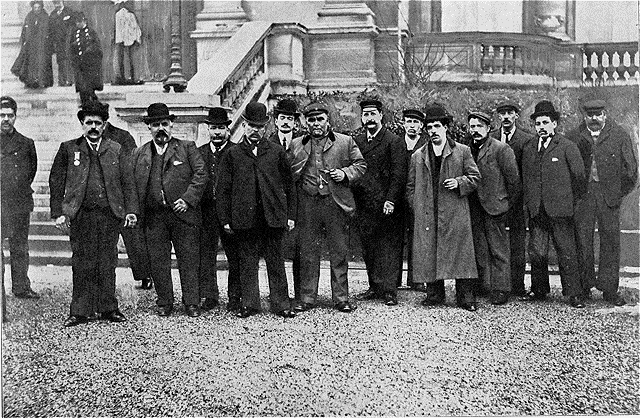 Photograph showing the 25 January 1905 session of the International Commission of Inquiry on the Dogger Bank Incident. French magazine L’Illustration, 28 January 1905. The British also withheld permission for access to the Suez Canal, which meant that the Baltic Fleet had to circumnavigate the entire African continent, delaying their arrival in the South China Sea for months. At the Battle of Tsushima, the Japanese destroyed two-thirds of the Russian ships and the Navy ended up surrendering. The war was over, Russia was humiliated, and the revolution was to follow.